We're taking a short break between perfume posts this week and veering off in another direction entirely to present you with a photographic essay on one of the historic buildings we've recorded recently (but never fear, we'll be back on course next week!). The building, a Victorian villa, appears to have been built in 1899 by the delightfully named Matilda Sneesby (very Roald Dahl-esque), wife of Christchurch printer William Sneesby. 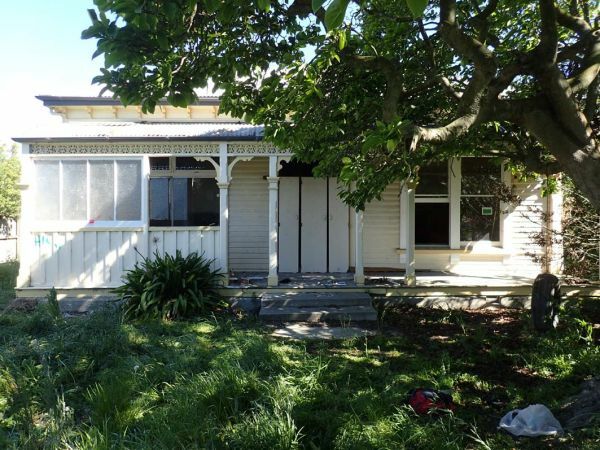 They lived there with their family until the 1920s. The building itself has some fascinating architectural features and additions, laid our for your perusal in the photographs below. North elevation of 34 Harvey Terrace with bull nosed veranda, cast iron laces work, chamfered timber posts, timber fretwork brackets. The east end has been walled in. 2.Bay window on the east elevation. 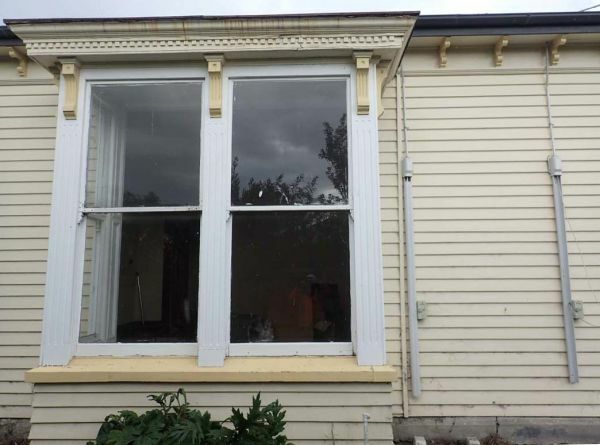 Identical bay windows have been found on other houses suggesting that they were available pre-built or as a kitset (not sure of wording for this). Fireplace removed from the parlour. Hallway arches like these were used to separate the ‘public’ and ‘private’ areas of houses. The front rooms of a dwelling were considered public because these were the rooms most likely used when entertaining guests. Another ceiling rose, in another room. 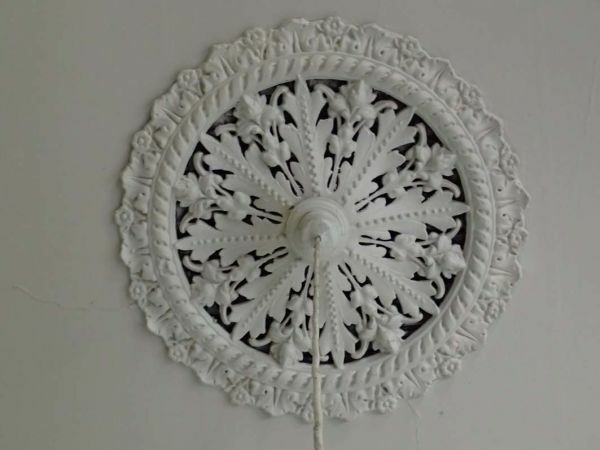 Ceiling roses. 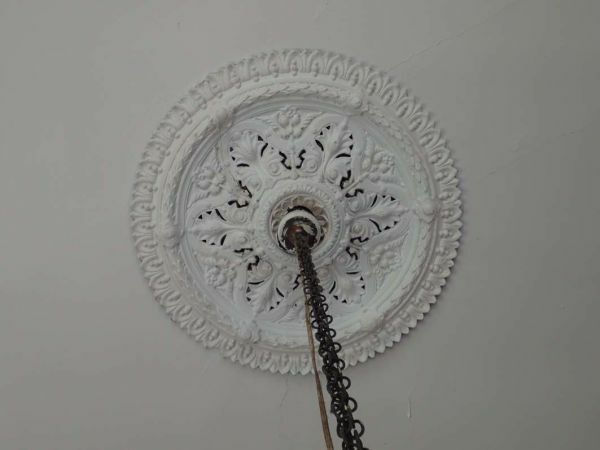 34 Harvey Terrace was unusual in that there were three identical ceiling roses in three different rooms. The south wall of this room held a fireplace or coal range associated with the kitchen which had been removed. The kitchen is most likely to have been the room beyond the opening, which was still being used as a kitchen in 2011. This wall is something of a puzzle. 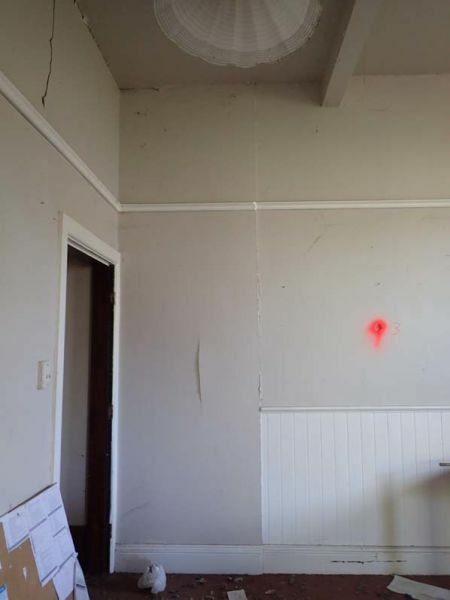 The ceiling shows evidence of a wall having been removed, and the wall shows evidence of a door having been removed. The wall was probably removed first, and the wall relined. Then the door was filled in at a later time. 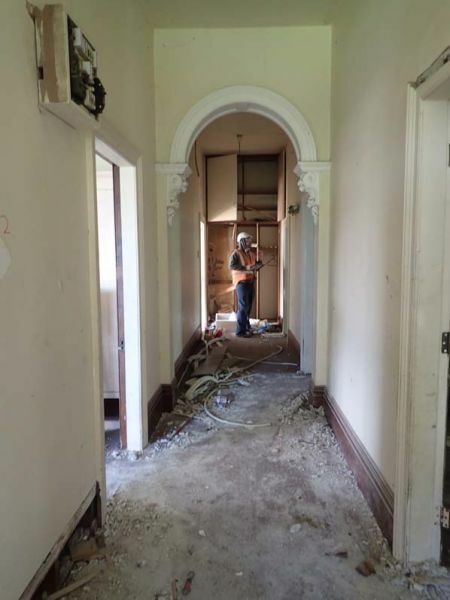 The main hallway lies beyond the filled in door way. 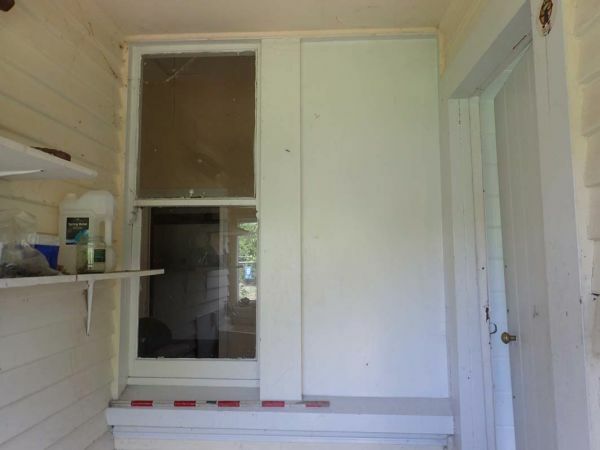 The wainscoting was not original.